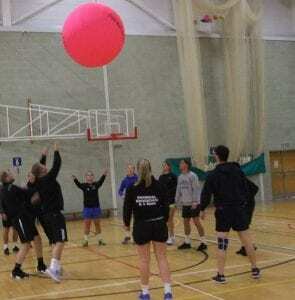 Kin-Ball, is a team sport created in Quebec, Canada in 1986 by Mario Demers, a physical education professor. 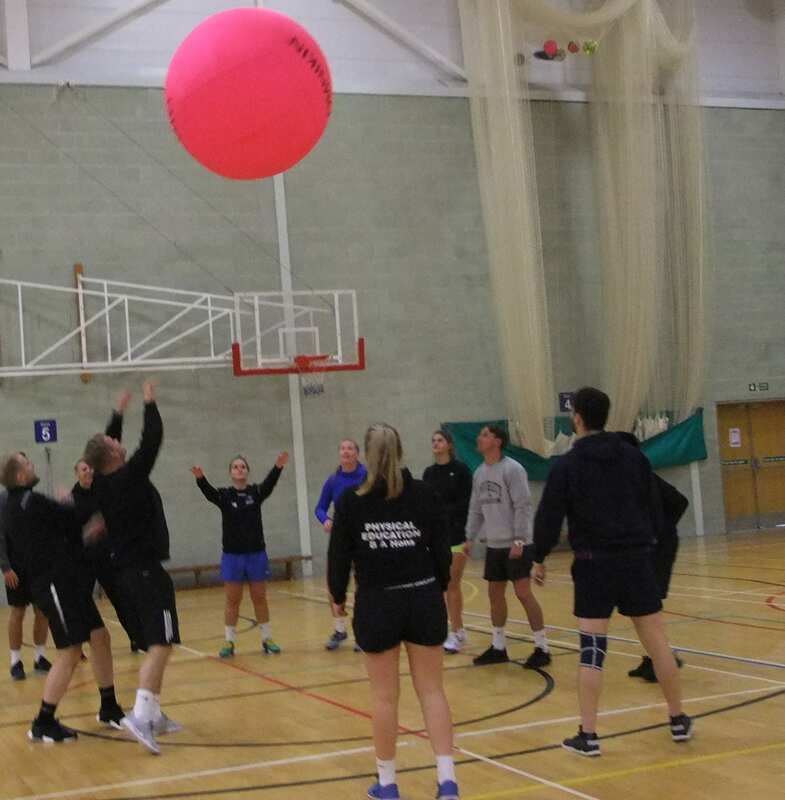 The distinctive characteristics are the size of the ball which is about 1.5 meters in diameter and luminous pink, and that matches are played among three teams at the same time instead of the traditional one-vs-one. Each team has four players and starts when one team, who are in contact with the ball, calls a corresponding colour of a team and then serves the ball. The named team must catch the ball before it touches the floor with three players holding the ball. The remaining player may stand, then hit the ball with his/her hands while clearly yelling the colour of another team who will then run and catch the ball. If the named team does not prevent the ball from hitting the floor, the other two teams are each awarded one point. PGCE and School Direct PE route leader Dr Gary Stidder said: “Unless anyone can persuade me otherwise, I remain convinced that changes to the content of the physical education curriculum in secondary schools along with reforms to physical education initial teacher training is the way forward and is the most likely solution to achieving inclusive experiences for all pupils.